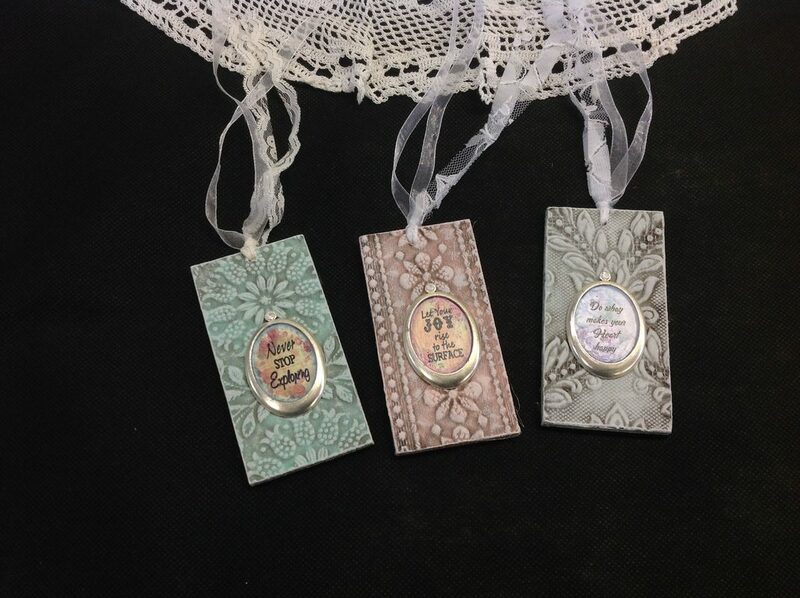 Make a gorgeous set of 3 Vintage themed "Thoughts" to give as gifts or to hang on the Christmas tree. We all know someone who needs a positive thought, a gentle hint of encouragement or who just needs a hug. 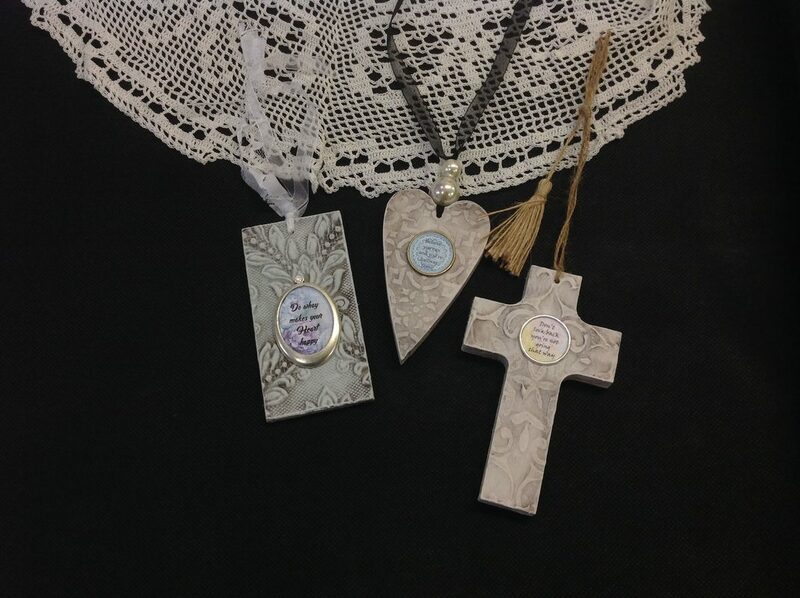 These "Thoughts" have inspirational messages on them that will suit anybody and any occasion. * You will apply texture, paint and antique the base shape. 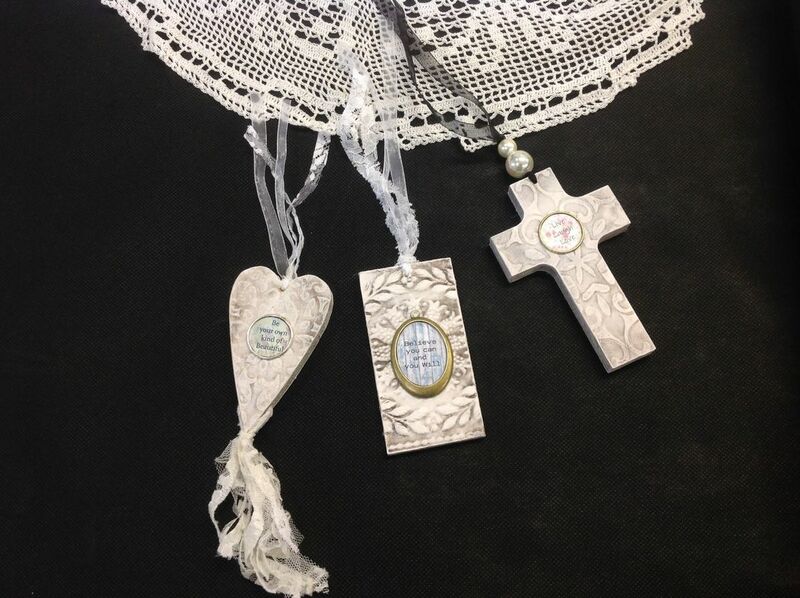 * Choose your message and apply to a metal base tag and secure it to the shape. * Drill holes for hanging as well as for attaching your chosen tassel embellishment. * There is also an option to stamp the back with 'Thinking of you' so you can personalize it with a handwritten message. Spaces are limited so bookings are essential. please book through the website below. $40 all materials supplied.